Teeth grinding, also known as bruxism, is typically thought to be caused by stress but is also commonly attributed to misaligned or missing teeth. Chronic teeth grinding most often happens during sleep, making it difficult for those affected by the condition to control it. Teeth grinding should ideally be diagnosed by a dental professional, but once identified, the problem can often be managed without medical intervention. Do you need to have problems with teeth grinding or a loved one who grinds their teeth?  Call us at (727) 565-1665 or schedule a dental consultation with us online. While controlling stress is easier said than done, many people who suffer from bruxism report that when they consciously set aside time to practice stress-reducing activities their teeth grinding diminishes. Depending on the person, simple pleasures such as regularly socializing with friends, listening to music, exercising, indulging a food craving or participating in other relaxing activities may help alleviate bruxism. Not only does caffeine help keep people awake, it also can cause restless sleep. An inability to achieve and maintain deep sleep has been linked to bruxism. Limiting caffeine to a modest amount, taken only during the morning, promotes better sleep, thus reducing teeth-grinding. Although often consumed for its sedative effect in helping people get to sleep, alcohol, similar to caffeine, ultimately acts as a stimulant. Reducing or eliminating alcohol is important to restful sleep. Professionals suggest that some people who suffer from nighttime-bruxism actually “train” themselves while they are awake to relieve stress orally. Habitual chewing on pens or pencils, biting fingernails, clamping teeth or other similar behaviors must be recognized and eliminated. Finding more appropriate outlets for anxiety helps prevent habitual teeth-grinding. Sometimes the things that people do to relax actually contribute to nighttime stress and can lead to teeth-grinding. For example, reading and watching TV are relaxing evening activities at times, but diving into a gripping murder mystery or viewing violent programs stimulate the brain, impairing sleep. Even exercising, typically a great way to burn off stress, should be avoided a couple of hours before bedtime. Vigorous exercise stimulates the metabolism, interfering with restful snoozing. If these self-help remedies do not alleviate teeth-grinding, a dentist may suggest a mouth guard to protect the teeth and any dental work from damage. In severe cases, prescription muscle relaxers may be prescribed, but medication is rarely necessary when contributing factors are addressed behaviorally. Contact us today to get started.